You know I try to keep things interesting around here by varying the types of posts I do from day to day. But in today's case, it is the calendar that has made the decision for me, with April Fool's Day following right after Easter. 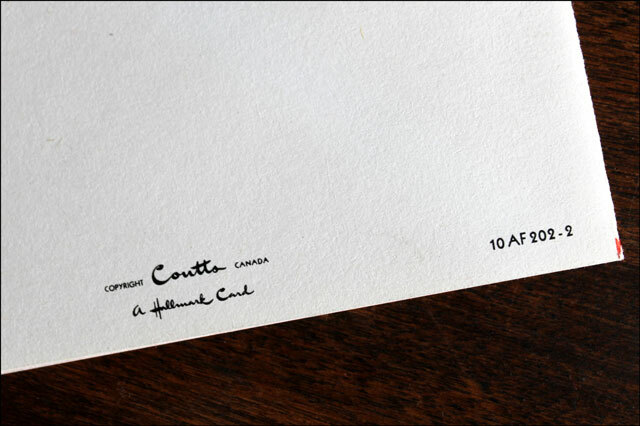 There is just no other day that I could show you these particular vintage cards, unless I waited a whole year to do so, and I am much too impatient for that. So here you have it ... two posts showing samples from my vintage greeting card collection in a row. 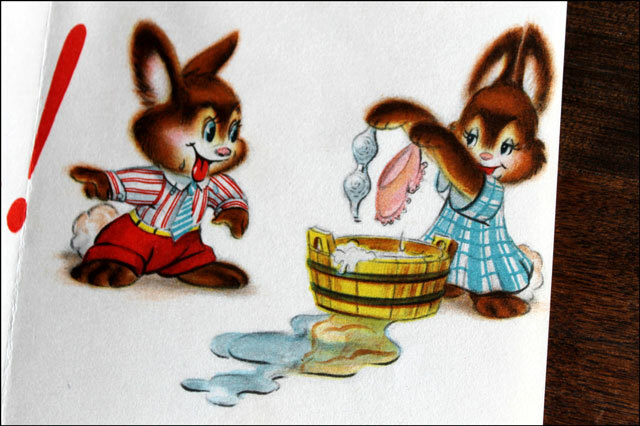 And right after telling you yesterday that the Easter card I showed you (here) was very rare, I must say that same thing again about these two cards. I mean, have you ever seen an April Fools card before? I hadn't until I spotted these on ebay, where the seller was asking only $3 for the pair, in perfect condition, unwritten in, including the original envelopes and free delivery. 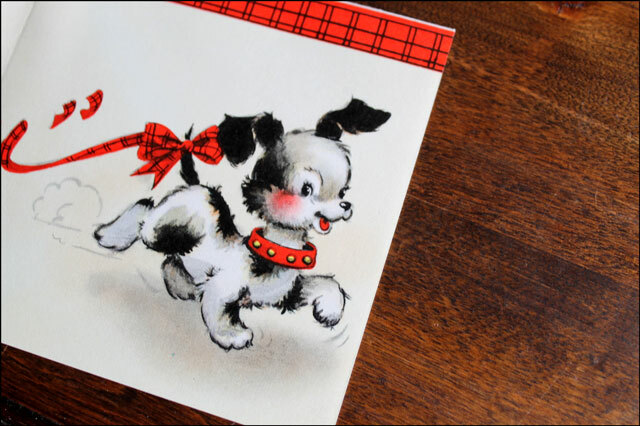 I would estimate they come from the early 50s, and they are both made by Coutts, that was a division of Hallmark Greeting Cards here in Canada. You've heard that saying by Valentine's Day naysayers, that it is a Hallmark Holiday, in that Hallmark made it up to sell more cards? 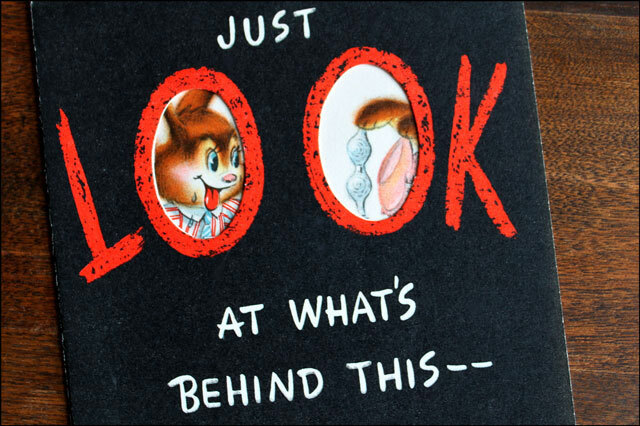 Well, that's just not true in the case of V-day, since it dates back to well before Hallmark began trying to sell greeting cards to celebrate it. But here I think we might have a true-blue Hallmark Holiday ... One that didn't take off, that is. 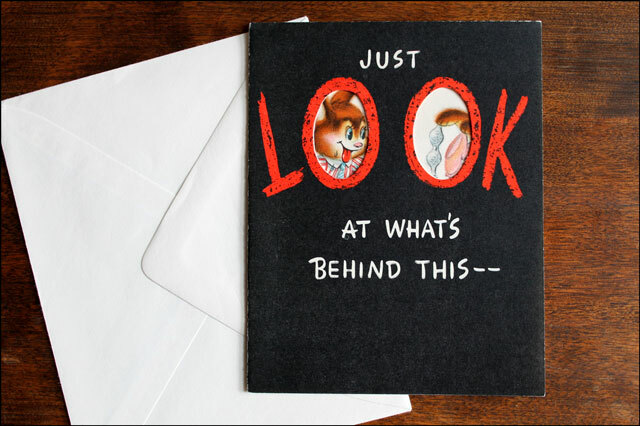 Because really, who sends April Fool's cards? 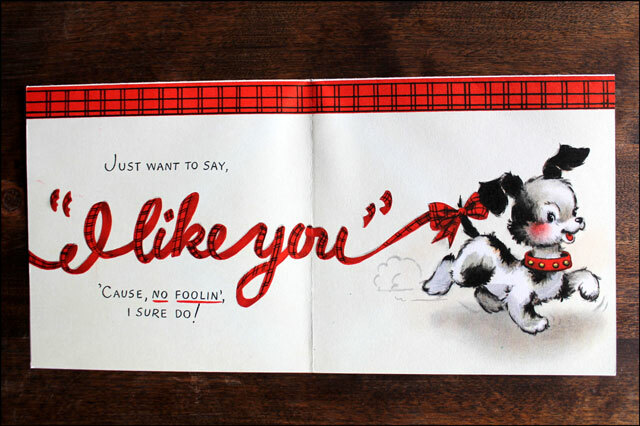 And even though nobody (much to Hallmark's chagrin) wishes each other a Happy April Fool's Day I shall do so to you. I hope your Monday is a great one, and I'd love to hear if you played any pranks or had any played to you today. 6 Responses to April Fool’s Cards?! 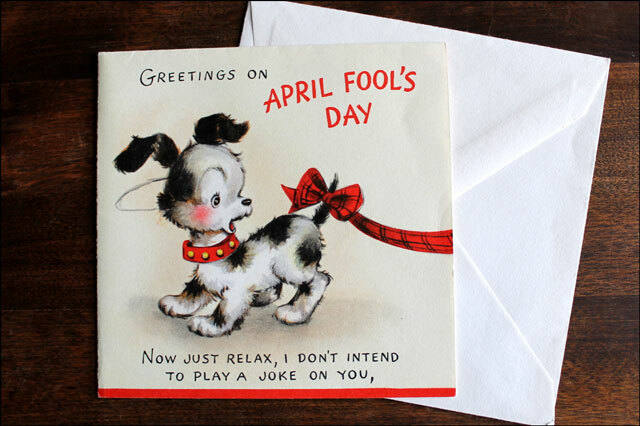 I’ve never heard of anyone sending April Fools cards but I would have been thrilled to get the one with the little dog. Isn’t that sweet? It could almost be a Valentine’s Card. Those cards are bonkers! I’m glad they didn’t catch on (another card to feel guilty about for not sending…) but a part of me is curious to see what they would be like / have evolved into today. 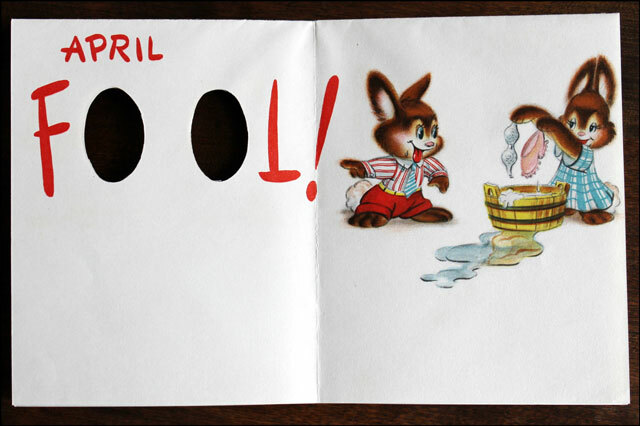 April Fool’s Day would definitely qualify as a Hallmark holiday! I’ve never heard of sending a card for it, but these two are so cute that I’m almost convinced… I’m such a sucker for stationary and paper products, the local post office actually knows me because I think I might be the only person left in my neighbourhood who still sends cards and letters regularly :) I think next year I’ll have to get my hands on some vintage Coutts cards for April Fools! Those cards are adorable! April Fools is a silly holiday, but I kind of love celebrating the small, funny little ones like that. So happy (now belated) April Fools to you Loulou! So sorry about your friend darling…even after all these years it’s quite lovely thing to be able to treasure the memories you’ve had with him and look back and smile.